How Does AAMCO Franchise Leverage Technology? A 21st-century business owner needs 21st-century tools to remain competitive, profitable and successful over the long term. While AAMCO has remained the worldwide leader in transmission repair for more than 50 years, the AAMCO executive team has made significant investments in new technology to ensure that the next 50 years are even brighter. Technology is at the core of the AAMCO franchise business model — from ensuring that AAMCO franchise owners and their technicians are the most well trained in the industry, to simplifying our business model, technology helps AAMCO franchise owners run sustainable, scalable and profitable businesses. Most recently, the AAMCO executive team has focused on delivering technologies that will improve the in-store customer experience, drive more sales and make the day-to-day operations of an AAMCO franchise easier than ever before. 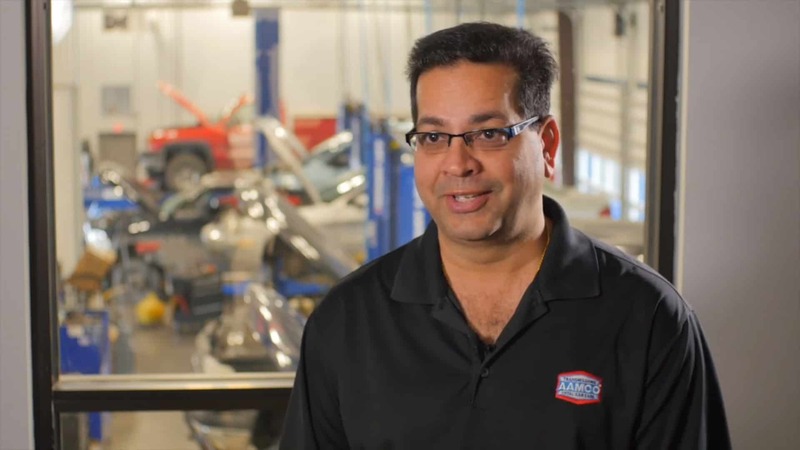 The ability to identify necessary investments to increase system-wide sales and win a new generation of customers stems from the fact that the AAMCO executive team has significant experience as franchise owners. Jim and his team have one goal: to roll out initiatives that drive profitability for franchise owners. The industry has taken notice. 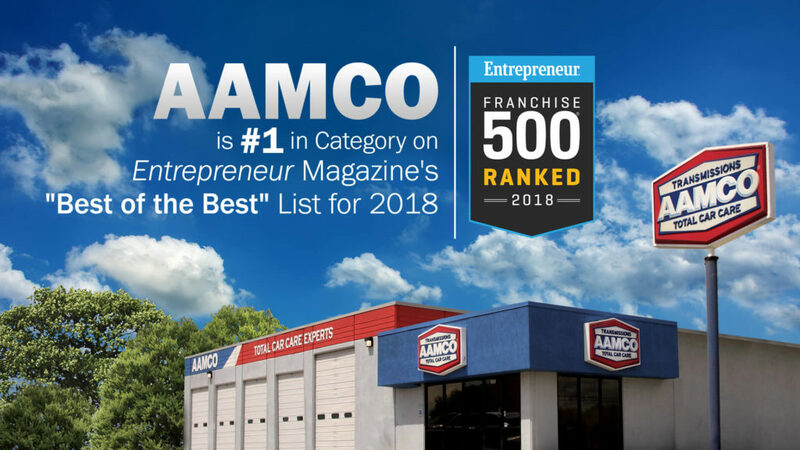 Entrepreneur included AAMCO on its prestigious “Franchise 500” list and once again named AAMCO as the top franchise in category on their annual, “Best of the Best,” list. The Internet is arguably the most important asset to a new franchise owner: customers are researching which brands are worthy of their purchase. In the case of the auto repair industry, evidence online of a reputation for a positive customer experience is of paramount importance. To remain a vital, competitive and relevant brand, AAMCO has devised a strategy to Win the Internet — from the first time a consumer types in a Google search for auto repair to after their car has been repaired and they are writing an online review of their local AAMCO franchise. 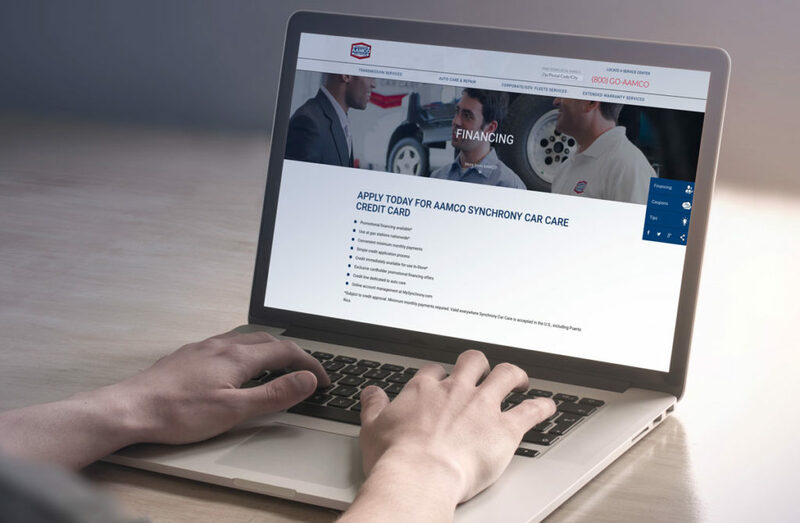 Every AAMCO franchise has a website that is accessible, easy to understand and explains our services in detail. New customers can click to request a quote, get directions and find coupons. Every AAMCO website is optimized with SEO keywords to ensure that AAMCO franchise owners are easily found by consumers searching for auto repair. 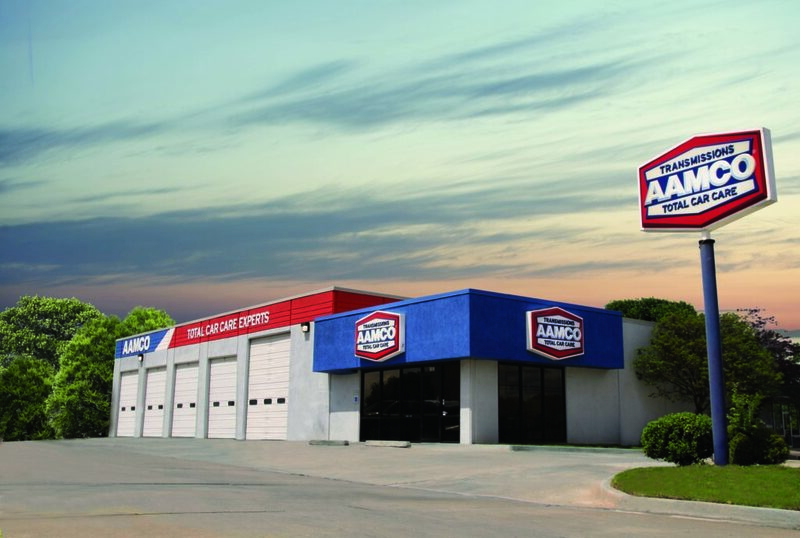 If there is an AAMCO center in the area and customers search for auto maintenance, auto repair or any number of relevant phrases, the local AAMCO franchise will be one of the first, if not the first, businesses to come up. AAMCO made a significant investment in the solicitation, monitoring and management of customer feedback via on line reviews. Centers receive feedback from their customers about their experience. If positive, an email is sent asking the consumer to post their feedback on line, if not positive, the center owner receives an email informing them of the experience. At that point the owner can contact the consumer and help turn the experience around and recover that customer, as well as, have deeper insights that allow them to coach the center staff on how to better handle the situation going forward to prevent the same situation from occurring in the future. AAMCO is in the process of rolling out a national consumer financing platform that is enabling new customers the ability to have immediate access to credit approval from several financial institutions for their vehicle’s repairs. By filling out information on a website or through a kiosk in an AAMCO center lobby customers with varying credit rating scores will be able to find a solution that suits their budgets and eases their financial burden. In 2015, AAMCO partnered with Salesforce, a pioneering company that delivers cloud-based customer relationship management (CRM) software, to create an industry leading CRM for the AAMCO franchise network. In December of last year, AAMCO rolled out a platform within the CRM to improve the level of support that franchise owners receive. For the first time, AAMCO franchise owners can have access to the entirety of their support network: operations, marketing, accounting and more — with a real-time log that records support calls so that the executive team can have visibility and be accountable to AAMCO franchise owners. In the second quarter of 2016, AAMCO started a partnership with ALLDATA and Autozone, two giant brands in the automotive industry, and are working together to provide franchise owners with a new Point of Sale (POS) system called AAMCO Management System (AMS). “We had four key goals that we wanted to accomplish with the AMS system,” Jim says. We want to make life easier for our franchise owners and their employees in the stores: making jobs more efficient overall. We wanted to utilize technology to improve the customer experience in our stores. In the future, customers will be greeted by employees with tablets to help start the process even before they walk in the door. We have great mobile technology so that we can provide them detailed information in order to be more transparent and provide them with more options. We wanted to provide much better data to our owners to drive better marketing and more customers to your stores. We wanted to give our franchise owners the ability to check-in on their stores no matter where they are in the world. The AMS system is hosted on cloud-based infrastructure, which can allow owners to have detailed information on their stores, so that they can make better decisions about their stores going forward. 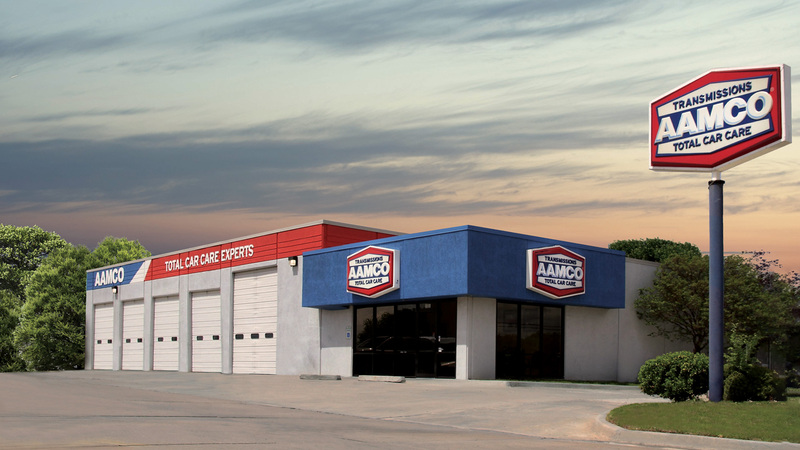 With nearly 650 auto repair franchise locations across the country, AAMCO has remained a dynamic part of American car culture — as well as a vibrant part of hundreds of local economies — since we began franchising in 1963. AAMCO is actively seeking single and multi-unit operators who are passionate about the brand and committed to providing the highest-quality service. Interested candidates should have a minimum net worth of $250,000 and liquid assets of at least $65,000 per unit. Depending on the real estate selected, franchisees can expect the total investment to be approximately $223,600-$330,500, with a $39,500 initial franchise fee. Reduced franchise fees are available for honorably discharged veterans. Since the auto repair franchise began offering a discounted pathway to veterans through its VetFran program in 2012, several US veterans have joined the AAMCO franchise owner network.